We’ve had three weeks of the NBA offseason, and with one notable exception, the biggest moves have happened already. Things are winding down. Now it’s the middle of July, and the only sports currently going are the British Open and baseball. Football is coming soon, but as of this week, it’s rough out there. So, what better way to spend the day than thinking way too much about NBA free agency one last time? 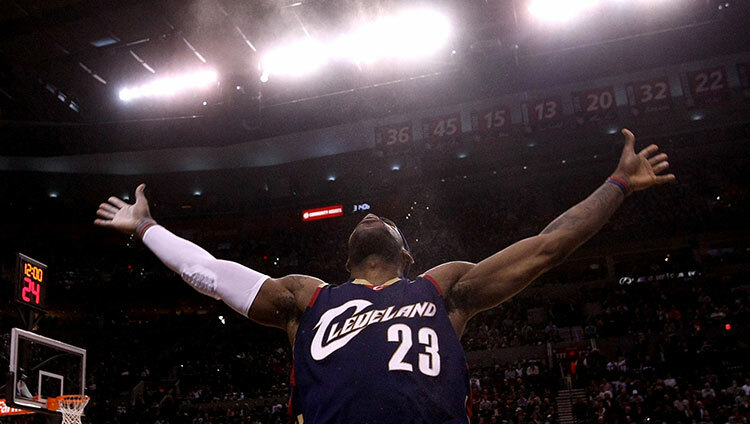 Let’s grade the NBA offseason. We begin with the team that kicked off the offseason in earnest back in June. Are you ready to jump on the Pelicans bandwagon? It’s time. We thought it was time last year, but then the entire roster got hurt, and the dreams were deferred. Then New Orleans dealt Houston a first-round pick for Omer Asik, taking last year’s “win now” approach and doubling down on it. Now it’s time to double down with them. Go all in. Grow a unibrow. Get the angry pelican tattooed on your chest. Paint your house that ugly bronze alternate color they chose for some reason. Losing Anthony Morrow this summer will hurt, Monty Williams is still a question mark as a coach, and it’s unclear if they’ll ever be able to move Gordon. But while 15 other teams made bigger moves this summer, the Pelicans are quietly sitting there waiting to explode in a few months. Even the Evans contract that everyone mocked looks 10 times better after he went for 17.4 points and 6.4 assists per game following the All-Star break. Compare Evans’s four years for $44 million to what Gordon Hayward and Chandler Parsons are getting, and suddenly $11 million a year is decent. Oh, and Davis. Trusting the Pelicans’ blueprint from the last two summers could look incredibly stupid 12 months from now, but King Brow is the biggest reason I feel confident. He’s the next guy to be in the Durant-LeBron conversation, maybe the only real challenger to the throne for the next five years. And in case you forgot, the Sonics/Thunder with Durant won 20 games, 23 games, and then … jumped to 50. Get in on the Pelicans. One of the funny parts about spending way too much time on the Internet is that sometimes you initially agree with a criticism, but then everybody starts talking about it and tweeting about it, one-upping each other with hotter takes, and eventually the opinions get taken so far that you can’t help but double back and start defending what you were initially criticizing. That’s what happened with Daryl Morey this week. 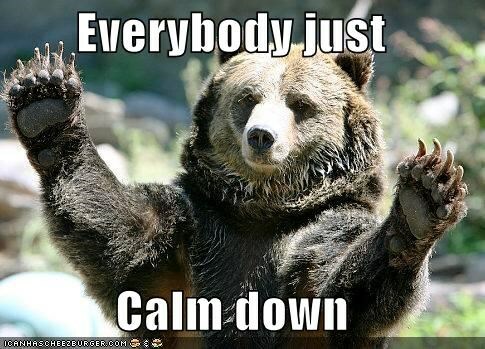 Everybody needs to calm down. The Rockets will be OK. This summer was all about going for Chris Bosh and Carmelo Anthony to fill out a contender’s nucleus, then going over the cap to bring back Parsons as a fourth star. That plan may not have won a title, but it was worth the risk. Now Houston’s paying Trevor Ariza half of what Parsons is getting, and in return it will still have shooting to stretch the floor, plus much better defense. It’s not perfect, but come on. The only way this offseason is that bad is if you think Parsons is that good. You can debate what the Rockets should do from here, but “not pay Chandler Parsons $15 million a year” is hard to argue with. That decision would’ve happened next offseason regardless. Just because it came a year early doesn’t mean we have to suddenly have a collective reckoning over Morey’s supposed fraudulent career. Anyway, I’m sticking with the Chris Paul comparison from Monday. Morey’s easy to root against for all kinds of legitimate reasons, and he’s never been as infallible as the hype suggests, but the broader track record is tough to criticize. That part is not a myth. I hated watching the Rockets last year, but go back and look at the 2011 roster. Morey turned that team into James Harden and Dwight Howard and a five-year window in which a title is at least a realistic goal. If the big criticism is “TALK TO ME WHEN HE WINS SOMETHING,” well, that’s what people say about Paul. It doesn’t mean he’s not really good. In conclusion, I hated the Week of Morey Backlash for a lot of reasons, but especially because it made me defend the goddamn Rockets. OKC didn’t do much this summer, because having Kevin Durant, Russell Westbrook, and Serge Ibaka makes the offseason pretty easy. The Thunder’s biggest move was signing Morrow this week. Morrow’s the type of player who becomes twice as valuable on a great team, and his 3-point shooting (45 percent last year) could end up being huge in the playoffs. OKC was pursuing Pau Gasol for a little while but lost him to Chicago, which actually feels like a win. Gasol never made that much sense in Oklahoma City. Were they going to muzzle Westbrook to have him feed Gasol in the post? Run pick-and-rolls with him late in games and bank on Gasol knocking down 18-footers? Ibaka does most of what Gasol can, and he’s 10 times better on D. Wouldn’t it be better to just roll with Westbrook, Durant, Ibaka, Steven Adams, and a shooter? Well, yeah. And instead of Gasol, the Thunder got their shooter. You know who didn’t send the entire basketball world into a frenzy this summer? You know who never opts out when the going gets tough? His boys wear black, but their collars are blue. And they’re not waving the white flag just yet. Gregg Popovich has agreed to a contract extension, Spurs say in release. I had been told he was eager to coach another 4-5 years. When you’re ready to win titles, we can talk about Pop Culture. Everything Dallas did seems like it makes more sense on paper than it does in real life. Taking a chance on Tyson Chandler? Sure, seems smart enough. Re-signing Dirk Nowitzki for $8 million a year? Paying $15 million a season to Parsons, stealing a crucial piece from a conference rival? Great job. But I don’t know if it will actually work. Maybe Dallas goes from the eighth seed to the seventh seed? Chandler isn’t the same guy he was two years ago. Parsons will hurt the defense, and he probably isn’t good enough to make the offense that much better. They lost Vince Carter, Jose Calderon, DeJuan Blair, and probably Shawn Marion. All of those players were important last year, and flipping them for Parsons and Chandler and Raymond Felton doesn’t necessarily change things for the better. It’s hard to criticize what Dallas did given the options, but it’s also hard to get that excited about the Mavericks this year. 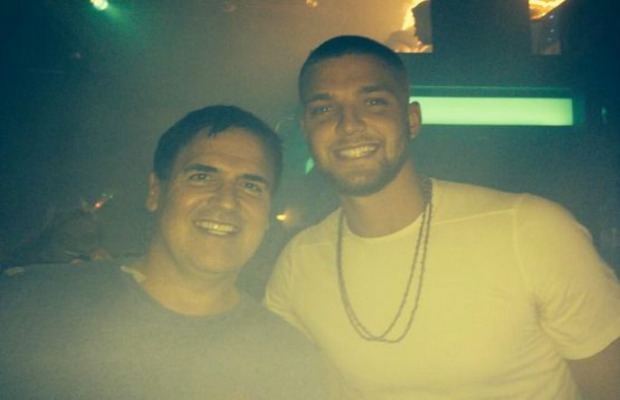 The biggest disappointment of the Mavs summer: someone taking down the video of Parsons signing his contract in an Orlando club with Mark Cuban and house music in the background. At least until he goes on The Bachelor, this was the most Chandler Parsons incident in history, especially when he dramatically crushed the plastic cup he was drinking from. Juliet Litman watched it no less than 50 times the day it hit the Internet. Please, someone, put it back on YouTube. For everyone. They added Carter, brought back Z-Bo for a reasonable price, have Quincy Pondexter and Marc Gasol coming back healthy … Why can’t that team win the West next year? “Pretty good 2009 team,” someone said when I asked this yesterday. I forgot to add that Mike Conley’s still the most underrated point guard in the NBA, Nick Calathes won’t be suspended for PEDs this spring, and Jordan Adams and Jarnell Stokes should be awesome rookies off the bench. Bottom line: Carter on the Grizzlies might be even more fun than Mike Miller on the Grizzlies, and they got Z-Bo to sign an extension through 2017 for two years and $20 million, which is even less than Marcin Gortat’s making. Everybody else is coming back healthy next year, plus the young guys in the backcourt. The only bummer of the summer is losing Ed Davis, who was a pretty underrated role player off the bench, especially for the 40 or 50 regular-season games when Z-Bo’s only going at 80 percent. Still, forget Ed Davis. Believe in Memphis. 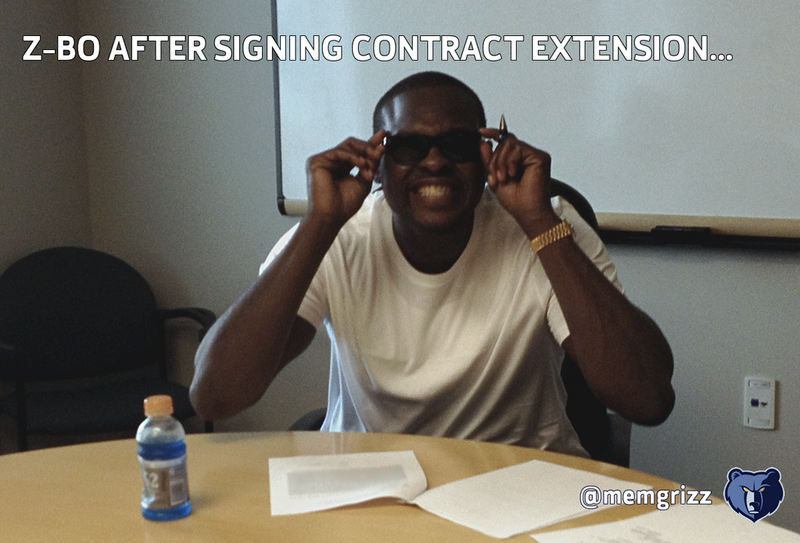 Trust in Z-Bo. They lost Lance, the only guy other than Paul George with the potential to make that offense explosive. Maybe it’ll be addition by subtraction, but there’s a better chance that this will make an already unwatchable offense just a little more unbearable. Beyond futile negotiations with Lance (they didn’t even get a chance to match the Hornets’ offer), the extent of Indy’s offseason was signing C.J. Miles, Lavoy Allen, and an auto-generated NBA2K free agent named Shayne Whittington to fill out the bench. They also negotiated a deal to bring over Damjan Rudez, who sounds more like a West Indian mixtape rapper than a Croatian small forward. We’re not quite to the point where everyone can just ignore the Pacers, but it feels close. Pau Gasol isn’t the same player he was on offense three years ago, and on defense he’ll be almost as big a liability as Carlos Boozer. Is he supposed to solve the scoring issues they had in the playoffs? Paying him $22 million for three years isn’t bad, but if he doesn’t really fix the offense, and hurts the defense, even an affordable Pau is just money that the Bulls can’t spend on real solutions. Chicago is pinning a lot of hope on Doug McDermott, who should be solid right away, and Nikola Mirotic, who’s a total wild card after two years of vague Internet hype and obligatory inclusion in every single Bulls trade rumor. Mirotic sounds great as an idea, but read this scouting report from someone who watched him this year for Real Madrid. (Includes the sentence, “He pretty much made Bostjan Nachbar an NBA All-Star.”) They also punted on using two first-round picks in a loaded draft class. Instead of taking, say, Gary Harris and T.J. Warren, they traded up to take McDermott. It’d be one thing if the Bulls didn’t see this coming with free agents this summer, but they had a year to try to create max cap space, and with an offer of four years for $73 million, they came up $23 million short of what the Lakers were offering with the actual max. This basically made it impossible for Carmelo to choose Chicago, which also removed the possibility of a sign-and-trade, because the Knicks knew there’s no way Carmelo would ever forfeit $50 million. So instead Chicago is bringing back Kirk Hinrich, adding Pau, and hoping Joakim Noah stays healthy for a full season again. Everyone’s picking them to jump to the top of the East, which could be setting up for a pretty brutal letdown. 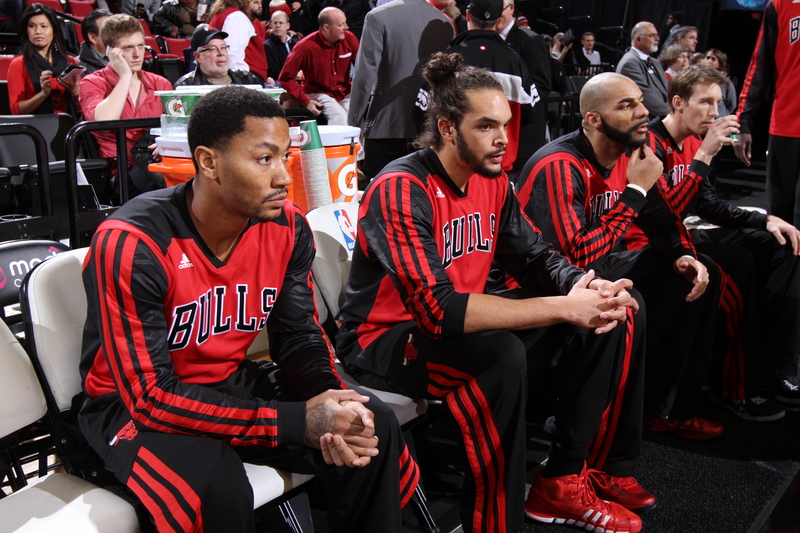 A lot is riding on Derrick Rose’s knee, I guess. Hopefully, all this is wrong and the Bulls battle to the death with the Cavs in the East, because that makes the whole league more fun. But for a team that makes $60 million per year in profit, and actually has good players, a good coach, a huge market, great fans … Bulls offseasons really shouldn’t be this depressing. Somehow they always are. Not a whole lot more to say about Carmelo than what I wrote about the Bulls while he was still a free agent and what Simmons wrote after he signed with the Knicks. When you consider the bigger picture with his career, his free agency turned out to be a lot more depressing than he ever could have expected. As for the Knicks … they spent a ton of money to keep Carmelo and stay relevant, and they wanted to do that all along, so I guess that’s a win? What’s encouraging is that Phil Jackson has been pretty impressive so far. Maybe more than just the Zen Masturbator after all. He started the summer getting rid of Tyson Chandler (who didn’t want to be there anymore) and Raymond Felton (who is Raymond Felton). Then he handled the Carmelo free agency perfectly and landed Derek Fisher, who wasn’t his first choice but also wasn’t Mike Dunleavy. Even if he hasn’t had any huge wins yet, Phil hasn’t made any huge mistakes, and he’s got the Knicks in pretty great shape for the next two offseasons. So that’s good. The new era is under way. But just to be clear, maxing out Melo to lead this team for the next five years pretty much guarantees any new era won’t be that new. A few years ago it seemed like a great time to become a Nets fan. Mikhail Prokhorov had just taken over, and all you ever heard were stories about wild parties with models and awe-inspiring accounts of his limitless wealth. 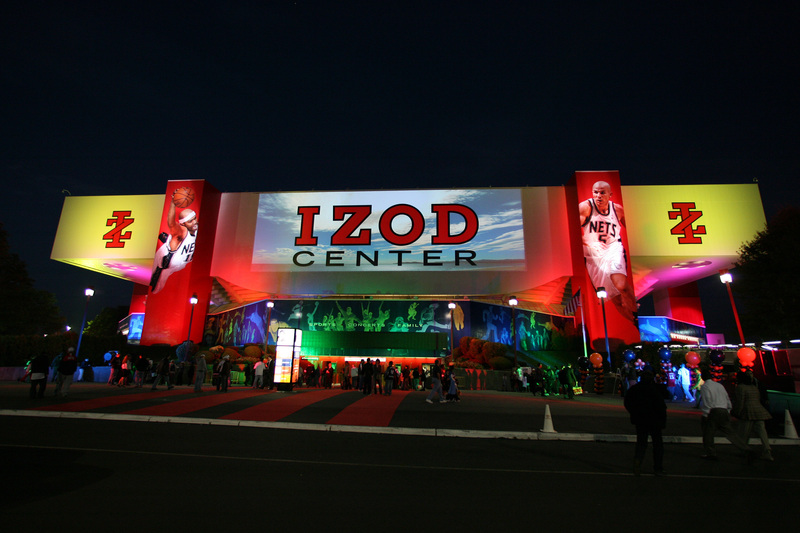 They were also moving to Brooklyn and a state-of-the-art arena, they had Jay Z involved and money to burn … all this while the Knicks continued to sputter to nowhere, spending money in the dumbest, most impatient ways possible, killing their fans a little more every year. Fast-forward a few years … it is NOT a great time to become a Nets fan. This summer started with the Jason Kidd coaching scandal, which was wonderful both for the feigned outrage over an NBA coach violating some code of loyalty — given how often they’re fired, NBA coaches owe absolutely nothing to anyone — and the phrase “Russians are done with Kidd.” Then the Russians turned to Lionel Hollins, who would’ve been great with last year’s Nets at least. Around this time, we learned that the Nets lost $131 million more than any other team in the NBA last year, a number so incredible that even James Dolan was impressed. Then Brooklyn lost Shaun Livingston to the Warriors, Paul Pierce to the Wizards, and added … Bojan Bogdanovic, the rights to Sergey Karasev (Russian! ), and Jarrett Jack, fresh off his nightmare season in Cleveland. They’ve turned into a more expensive version of the mid-2000s Hawks. They bring back a nucleus of Joe Johnson, a fossilized Kevin Garnett, Brook Lopez, and Deron Williams. I don’t even care that he’s nailing a 3 in the GIF above. No matter how conflicted Knicks fans feel about Melo’s max deal, they can always glance over at Brooklyn’s franchise player and feel better. Deron Williams encompasses all the worst stereotypes that people have about Carmelo, but without any of the fun. Also, after wrecking this roster with Billy King–aided moves to build the most expensive group in the league, there are rumors that Prokhorov might look to sell the team and move on. Go Nets. I still call them the Bobcats in my head, and I have no idea if or when that will change. But yeah, Charlotte. Taking a risk on Lance’s upside made more sense for them than just about any team in the league. Throw in Marvin Williams giving you 80 percent of what Gordon Hayward would have at half the price and getting rid of the Bobcats history and horrible uniforms, and Charlotte’s had a pretty solid summer. None of this makes up for losing 82 nights of magic with McBob, but at least it softens the blow. If you don’t count Dirk taking a $10 million to $15 million pay cut to help the Mavs sign other stars, the Kyle Lowry contract is probably the best big deal of the summer. Toronto could have panicked and paid him too much after their revival last year, but instead they held firm, and Lowry’s staying put and coming back to a roster full of young stars who will all be a year older. Good summer for Raptors truthers. If they don’t get Kevin Love, there’s still a chance that they keep Klay Thompson and, long-term, turn into a team that can contend with anybody in the league. But there’s a much better chance that Love will land in Cleveland, Andre Iguodala and Andrew Bogut will break down over the next few years, Golden State will overpay to keep Klay next summer, and Warriors fans will spend years cursing those few weeks before the draft when this team somehow turned Klay Thompson into a franchise cornerstone. Klay’s apparently back in the deal as of Thursday night, so maybe it’s not over yet. We’ll see. Gordon Hayward is good, and as the roster gets better around him he’ll only get more valuable. It made sense for Utah to overpay to keep him. Having said that, it’s been a lot of fun to watch every single discussion of a contract begin with, “Listen, if Gordon Hayward is making $16 million a year … ” That’s in a dead heat with, “That deal will look better when the cap goes up in two years,” for most dominant cliché of 2014 free agency. The Kings are targeting Josh Smith? What the f–k? Maybe the NBA could do a fantasy draft like in a video game and just disperse all of Sacramento’s players across the league. 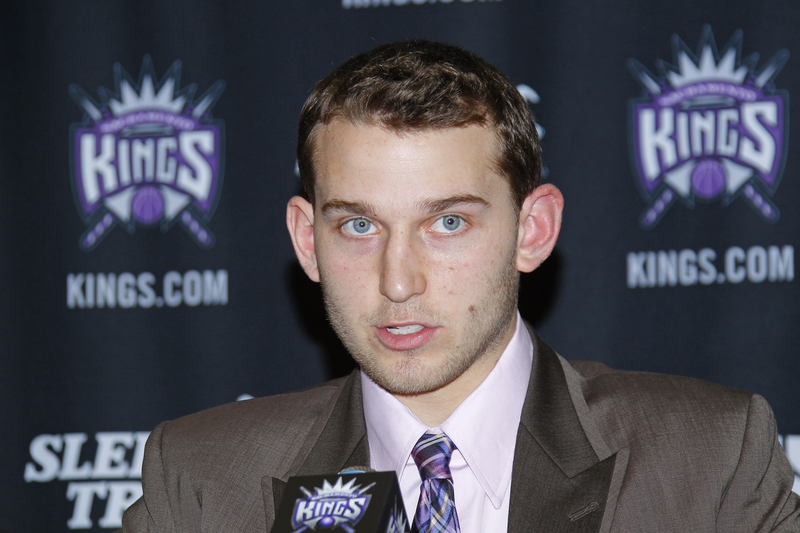 That would make so much more sense than whatever the Kings have been doing the past five years. I wrote about the Summer of Grunfeld earlier this week, and since then the Wiz added Kris Humphries (great depth, solid starter when Nene inevitably gets hurt for 30 games) and DeJuan Blair (human grizzly bear) to help fill out the frontcourt. It’s all so incredible. 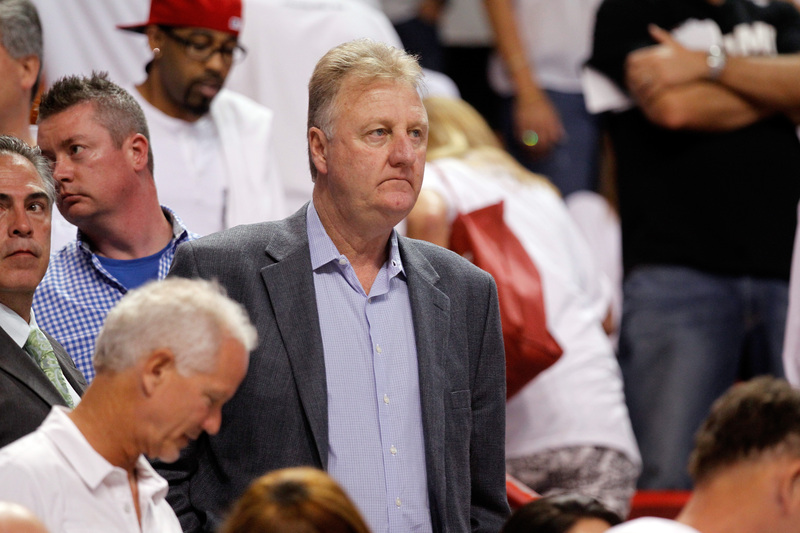 If you were to pick one GM who won this summer, doesn’t it have to be Ernie Grunfeld? Given what was expected, what was possible, and what the Wiz actually accomplished … it’s Ernie’s world right now. I’m fully prepared for something horrible to happen to ruin all this come November or December, but the Wizards nailed this offseason. They now join the Raptors and Hornets as the three teams with shockingly realistic chances of competing for the Eastern Conference crown. I’m not including the world’s greatest GIF, but just know that it’s playing in my heart for the rest of this summer. Chris Bosh probably isn’t good enough to be worth $23 million a year on the court, but keeping him at least allows the Heat to preserve some dignity in the short term, and maybe even some hope that they get back to chasing titles in a few years. Overypaying Bosh was smart, and had the added bonus of screwing the Rockets after Houston had been trying to screw them. Even the Wade deal is decent. Two years and $31 million is fair, and paying him more money the next two years is better than prorating it out until 2018. They’ll still re-sign him in two years, but the cap will be higher, and whatever deal Wade gets should be a lot more affordable. Throw in Luol Deng and Josh McRoberts, and Miami still has some decent weapons after all this. This team can maybe crack the top four or five in the East. Now that Shabazz Napier has purged himself and his Twitter account of all LeBron affiliations, Miami’s ready to move forward. None of it makes this summer any less miserable for Miami, of course. Or enjoyable for everyone else. Every time a Heat fan tries to tell you how underrated the offseason has been, just remember all the Heat fans a month ago, telling you how crazy it was that anyone cared about LeBron’s free agency. Also, remember Pat Riley’s press conference. Also, remember Dwyane Wade’s lecture to Kevin Durant. Remember everything. In the end, this fair for everyone. Not a single person in Miami has any regrets about the way the last four years went down, and not a single person outside Miami has any regrets about the last four weeks. Reading through the Wiggins-for-Love Shootaround yesterday, the most amazing part of all this is that there are no bad outcomes here. It sounds like Wiggins is on the table with the Wolves, and that’s what the Cavs should do. But even if the deal falls through and Wiggins stays … that’s just more money to chase free agents with next summer, and maybe they keep Wiggins and add another star next offseason. There’s a very real chance they make the NBA Finals anyway, then come back with even more weapons next year. Either that, or the deal gets done and Kevin Love makes the Cavs a title contender for the next five years. Nothing’s more surreal than that sentence, and that’s exactly how surreal the last few weeks have been. Here we are. Jordan Hill making $9 million a year. Steve Nash hobbling off the bench. It’s too bad that Julius Randle and Ed Davis have to be involved in this horrible science experiment of a basketball team, but everything else is worth it just to see what happens. It’s all building to a riot outside Jim Buss’s house. It’s all building to a first-round pick that they’ll try to tank for but inevitably lose to Phoenix when they fall juuuuuuust outside the top five. It’s all building to Kobe losing his mind. It’s all building to Marc Gasol and Rondo next summer and Kevin Durant in 2016. Can’t you people see that?